Stainless Steel 347 Ferrule Fittings Suppling at Oman, SS UNS S34700 Double Ferrule Fittings Manufacturing at South Africa, Stainless Steel 347 Ferrule Fittings, SS 347 Union Tee, Stainless Steel 347 Male Connector Suppling at Netherland, SS 347 Female Elbow, SS 347 Bulkhead Union Supplier & Exporter in Mumbai India. Alpha Overseas manufactures and exports these SS 347 Compression Tube Fittings, which is stabilized by the addition of columbium and tantalum. These Alloy 347 Ferrule Tube Fittings is stabilized by the additions of chromium and tantalum and offers higher creep and stress rupture properties than alloy 304 and 304L which may also be used for exposures where sensitization and intergranualr corrosion are of concern. In addition, our Grade 347 Double Ferrule Tube Fittings form another group known as precipitation-hardened steels, which are a combination of martensitic and austenitic steels. 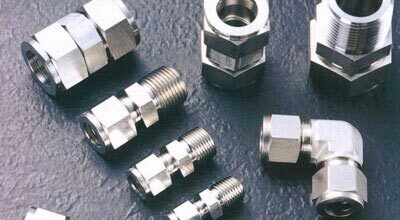 These SS 347 Tube Fittings can be used in applications requiring repeated heating in the range of 800 Degree F and 1650 Degree F (427 Degree C - 899 Degree C). Our AISI 347 Compression Fittings are stabilized by the addition of columbium and tantalum, which has restricted cobalt and tantalum content for nuclear applications. These 347 Stainless Steel Compression Tube Fittings is stabilized with columbium, which is further preferable for aqueous and low temperature environments due to its good resistance to intergranular attack. 347 Stainless Steel Male Adapter Suppling at Indonesia, SS DIN 1.4550 Compression Tube Fittings Suppling at Belgium, ASTM A182 Tube Fittings Manufacturer, Stainless Steel 347 Female Branch Tee, SS 347 Straight Union, Stainless Steel 347 Reducing Union Manufacturing at Tanzania, SS 347 Bulkhead Lock Nut Manufacturer & Stockist in Mumbai, India. Our Stainless Steel UNS S34700 Compression Tube Fittings also has excellent resistance to intergranular corrosion following exposure to temperatures in the chromium carbide precipitation range from 800 Degree F to 1500 Degree F.
These Stainless Steel Din 1.4550 Tube Fittings is a columbium (niobium) / tantalum stabilized austenitic chromium-nickel stainless steel which was developed to provide an 18-8 type alloy with improved intergranular-corrosion resistance. 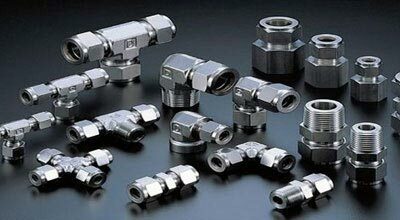 We are Exporter of Stainless Steel 347 Tube Fittings in Worldwide Such as Turkey, Sri Lanka, Chile, Denmark, Israel, Macau, Serbia, Morocco, Zimbabwe, Kazakhstan, Azerbaijan, Nepal, Romania, New Zealand, Egypt, Bahrain, Bolivia, Brazil, Jordan, Gambia, Pakistan, Ecuador, Philippines, Australia, South Africa, Afghanistan, Kuwait, United Kingdom, Austria, Libya, Peru, Hong Kong, Ghana, Germany, Puerto Rico, Iran, Greece, Czech Republic, Sweden, Mexico, Netherlands, Japan, Slovakia, Poland, Bulgaria, Bangladesh, Nigeria, Namibia, Oman, Vietnam, Kenya, Saudi Arabia, Nigeria, United States, Mongolia, Gabon, Chile, Spain, Iran, Yemen, Argentina, Algeria, South Korea, Venezuela, Qatar, Angola, Taiwan, Costa Rica, Finland, Canada, China, Portugal, Norway, Belarus, Ukraine, Estonia, Switzerland, Colombia, Bhutan, Ireland, Hungary, Lithuania, United Arab Emirates, Tibet, France, Lebanon, India, Indonesia, Thailand, Singapore, Croatia, Poland, Trinidad & Tobago,Tunisia, Italy, Mexico, Belgium, Iraq, Malaysia, Russia. We are Suppliers of Stainless Steel 347 Compression Tube Fittings in India Such as Hong Kong, Caracas, Bangkok, Jamshedpur, Ludhiana, Cairo, Dubai, New York, Granada, Surat, Jeddah, Calgary, Pimpri-Chinchwad, Dallas, Bogota, Busan, Chennai, Jaipur, Thane, Aberdeen, Ankara, Mumbai, Vung Tau, Los Angeles, Kuwait City, Colombo, Hyderabad, Al Jubail, Kolkata, Navi Mumbai, Al Khobar, Baroda, Istanbul, Perth, Doha, Milan, Melbourne, Sharjah, Thiruvananthapuram, Ahvaz, Brisbane, Ulsan, La Victoria, Visakhapatnam, Bhopal, New Delhi, Nagpur, Indore, Noida, Hanoi, Santiago, Howrah, Ranchi, Moscow, Atyrau, Gimhae-si, Haryana, Ahmedabad, Rio de Janeiro, Petaling Jaya, Ho Chi Minh City, Mexico City, Pune, Ernakulam, Port-of-Spain, Muscat, Courbevoie, Secunderabad, Vadodara, Nashik, London, Bengaluru, Chandigarh, Tehran, Madrid, Riyadh, Lagos, Lahore, Gurgaon, Karachi, Dammam, Seoul, Sydney, Jakarta, Toronto, Houston, Geoje-si, Rajkot, Manama, Coimbatore, Edmonton, Chiyoda, Kanpur, Faridabad, Montreal, Abu Dhabi, Algiers, Singapore, Kuala Lumpur.